The pure CSS and HTML techniques to create an animated image with caption effects when mouse hover on existing image. 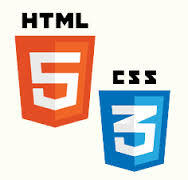 The HTML and CSS are very important part to develope this animated image operation. The animated image is represent in HTML using imgtag. And also image caption specify here. tag. Its very useful and attractive to desingn in web site development. If anyone has doubts on this topic then please do let me know by leaving comments or send me an email.